The State Water Boards’ 10th annual Performance Report, the result of compiling and synthesizing massive amounts of data from fiscal year 2017-18, tells the ongoing story of water regulation throughout California and makes the information readily accessible for public scrutiny and accountability. The recently released document, consisting of 160 report cards representing the work of the State Water Board and each of the nine regional boards, assesses a range of performance-based management programs aimed at achieving water quality measurements and improvements over the previous 12 months. In an era of climate change, tightening water supplies, debates over habitat protection and the inevitable budgetary challenges, the Performance Report offers two major views for the public – the quality of California’s waters and the performance of the Water Boards in protecting them. When the companion Accomplishments Report is released in early 2019, the two documents will strive to show the progress the Water Boards are making to protect and allocate California’s water resources. To create these reports, a team of scientists, engineers and geologists at the State Water Board’s Office of Information and Analysis spent months wrangling data, crunching numbers and designing visuals that create a vivid, multi-dimensional picture for public consumption, complete with a new automated, open platform that incorporates digital storytelling. One example of that data/storytelling synergy revealed itself on numerous occasions throughout 2018 with the marked increase of harmful algal blooms (HABs) outbreaks. HABs are known to kill fish and can be lethal to dogs that swim in waters with toxic algal blooms, so it is imperative that the public receive timely and accurate warnings. A Water Board team collected HAB data from routine sampling and was able to turn it into information readily available to the public that allowed recreational water users to make safe and informed decisions. Internally, assessments of goals and outcomes in the Performance Report help the Water Boards management teams shape new plans, with the aim of being more accurate with planning projections and more efficient and productive with outcomes. Indeed, the general public can comb through the Performance Report and find a wealth of statistics. Here are just a few examples. Collectively, staffers throughout the state oversaw more than 38,000 dischargers; processed about 500 individual permit actions; inspected more than 7,500 facilities; completed 2000-plus penalty and compliance actions and collected more than $20 million in liabilities; and adopted plans to address more than 25 “listings” for polluted waterways. To learn more, check out the Performance Report here. All the data used to develop this report will be published as curated dataset(s) at the State of California’s open data portal located at http://data.ca.gov. Project partners Poseidon Water and the San Diego County Water Authority gathered today at the Claude “Bud” Lewis Carlsbad Desalination Plant to celebrate delivering 40 billion gallons of drought-resilient drinking water to San Diego County during three years of commercial operations at the plant. The short ceremony included a proclamation by Supervisor Bill Horn marking Dec. 13, 2018, as Claude “Bud” Lewis Carlsbad Desalination Plant Day, and a ceremonial toast with desalinated water. The Carlsbad Desalination Plant provides San Diego County with more than 50 million gallons of high-quality, locally controlled, water every day. It’s a foundational water supply for the county that minimizes the region’s vulnerability to drought or other water supply emergencies. The Carlsbad plant also is the largest, most technologically advanced and energy-efficient desalination plant in the nation. The Carlsbad Plant is the result of a 30-year Water Purchase Agreement between the plant’s developer and owner, Poseidon Water, and the Water Authority for the production of up to 56,000 acre-feet of water per year. It is a major component of the Water Authority’s multi-decade strategy to diversify the region’s water supply portfolio. Poseidon Water and the Water Authority were joined at the event by former U.S. Senator Barbara Boxer; Carlsbad Mayor Matt Hall, Mayor Pro Tem Keith Blackburn, Council Member Priya Bhat-Patel; and representatives from the offices of California Senator Patricia Bates, San Diego County Supervisor Bill Horn and the California Pollution Control Financing Authority, among others. The desalination plant sits on six acres next to the Encina Power Station on land owned by NRG, a Fortune 200 energy company. NRG is in the process of shutting down and decommissioning the power station, and the desalination plant will convert to an independent operation over the next few years. it will be the first desalination plant to comply with the 2015 California Ocean Plan Amendment to advance ocean water as a reliable supplement to traditional water supplies while protecting marine life and water quality. Additionally, Poseidon Water is protecting and preserving the coastal environment by preparing to take over NRG’s responsibilities as the steward of the Agua Hedionda Lagoon and responsibility for its ongoing preservation. 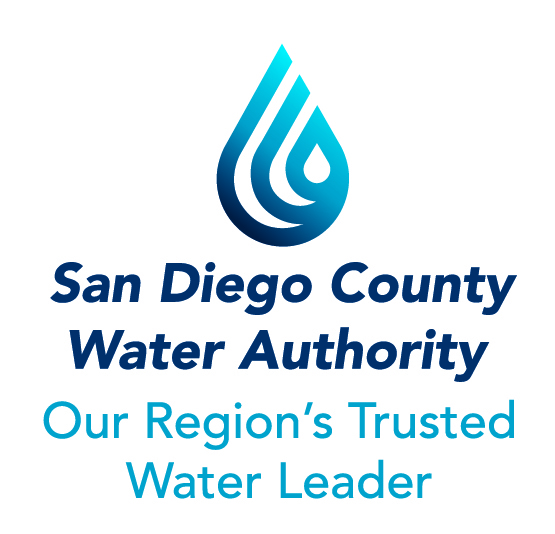 For more information, go to the plant website, carlsbaddesal.com, or to the Water Authority’s website, sdcwa.org.